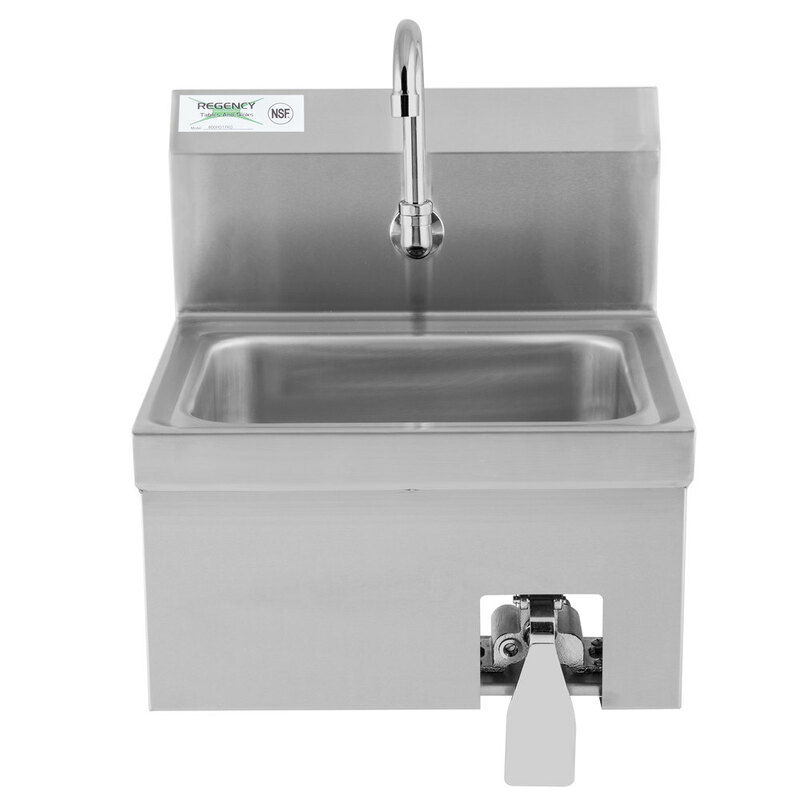 Keep your restaurant up to code without sacrificing space with this Regency hand sink. 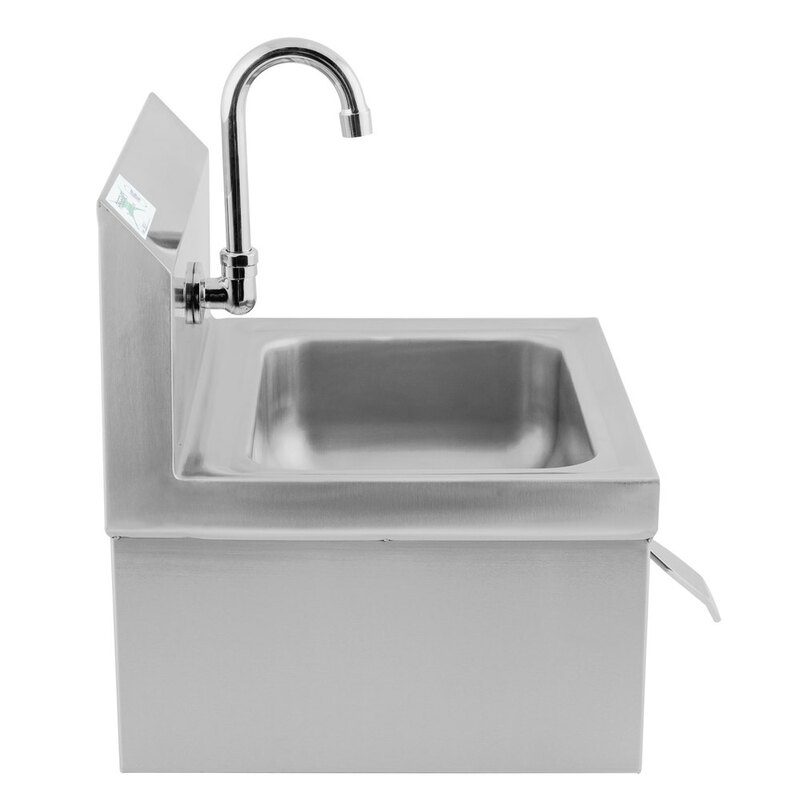 Suitable for wall or surface mounting, this sink comes standard with a single 14" x 10" x 5" bowl with a 4" wall mounted gooseneck faucet. 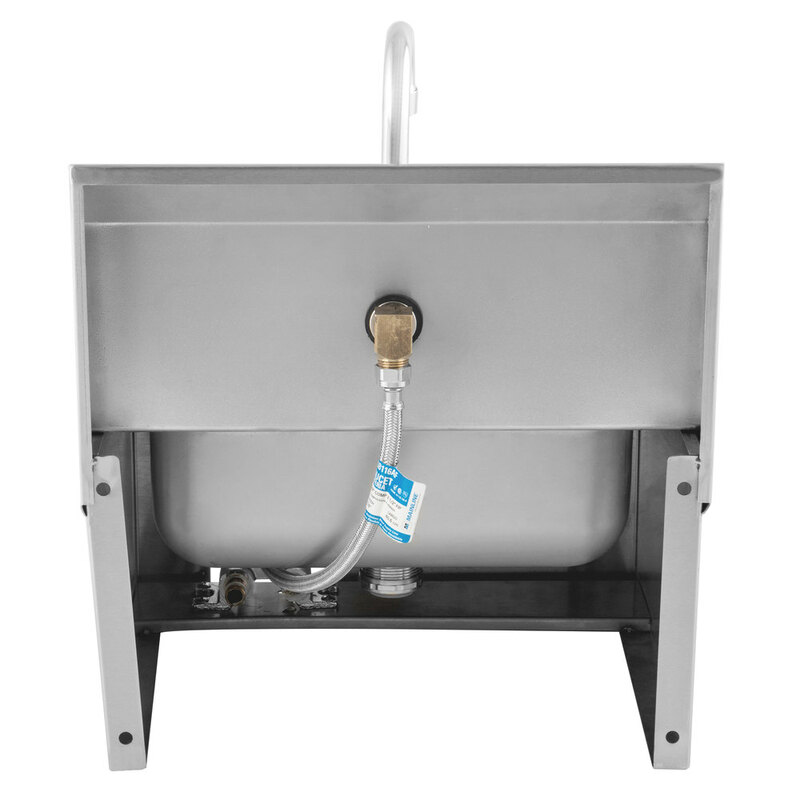 The easy-to-use knee operated valve ensure sanitary operation and a simple installation. 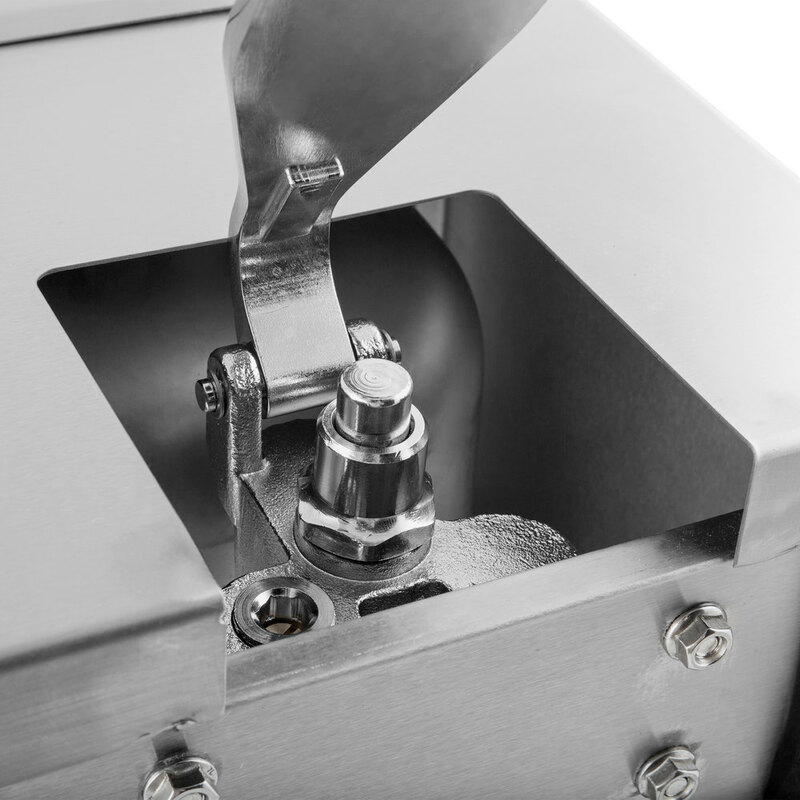 A screw on the side of the pedal valve allows for easy adjustment of the water temperature. 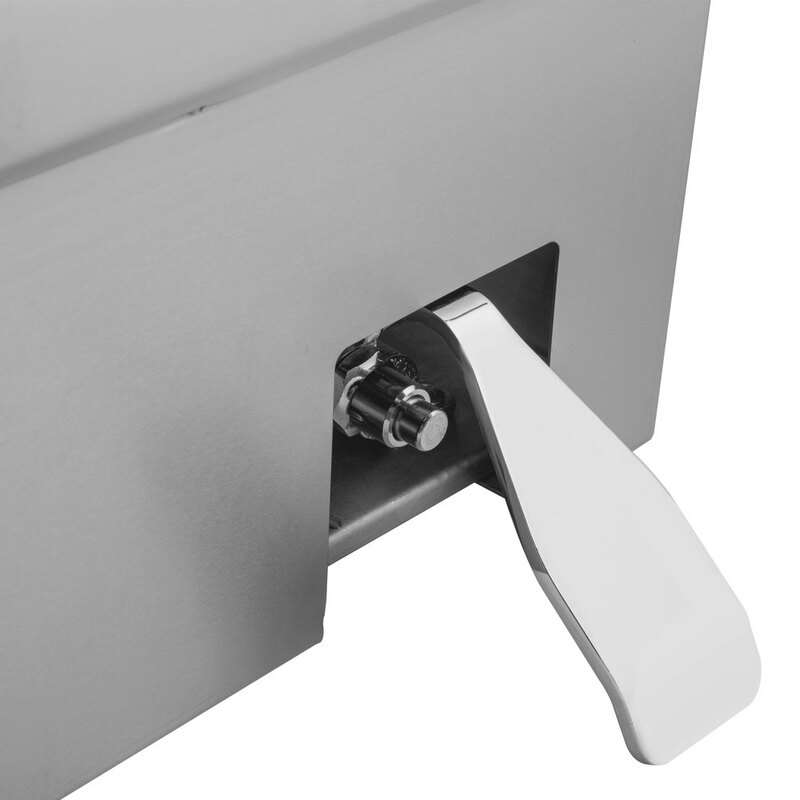 This hands free design helps to eliminate cross contamination risks, keeping your facility clean and your staff and patrons safe and healthy. 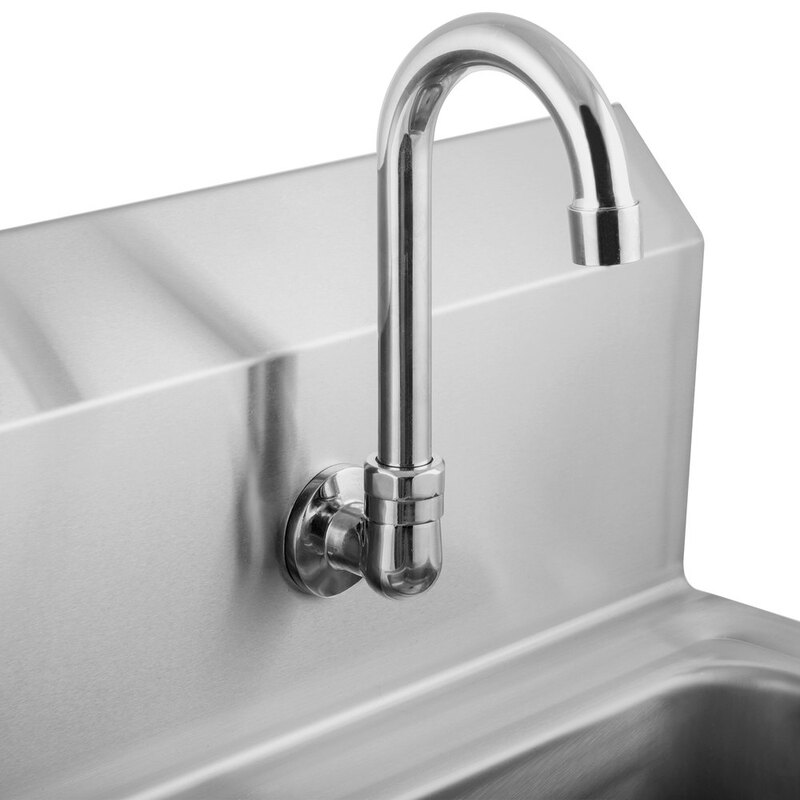 This sink offers an economical, 20 gauge type 304 stainless steel construction for its top, bowl, and backsplash, in addition to an 18-gauge type 304 stainless steel body and wall mount clip. Durable construction makes it a perfect addition to busy kitchens, auto shops, janitor closets, or industrial locations. Even with heavy, everyday use, it will prove a reliable addition to any facility. It comes standard with a 1 1/2" IPS drain basket.